I am seriously obsessed with this H&M handbag, I first saw the bag styled on a ootd picture on Instagram and I had to have it. 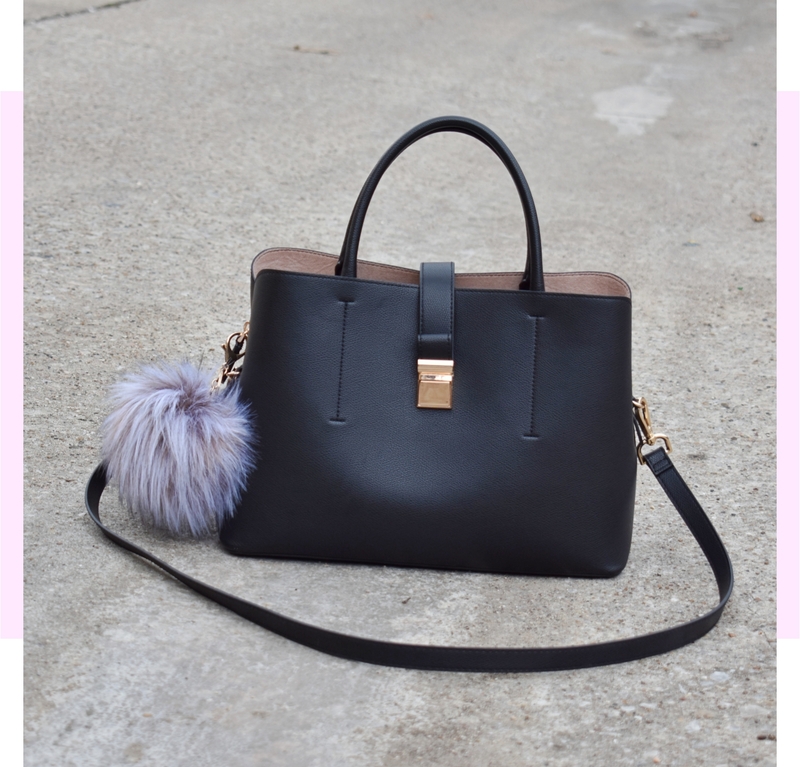 This gorgeous bag looks way more expensive than it is, you get a great bang for your buck! 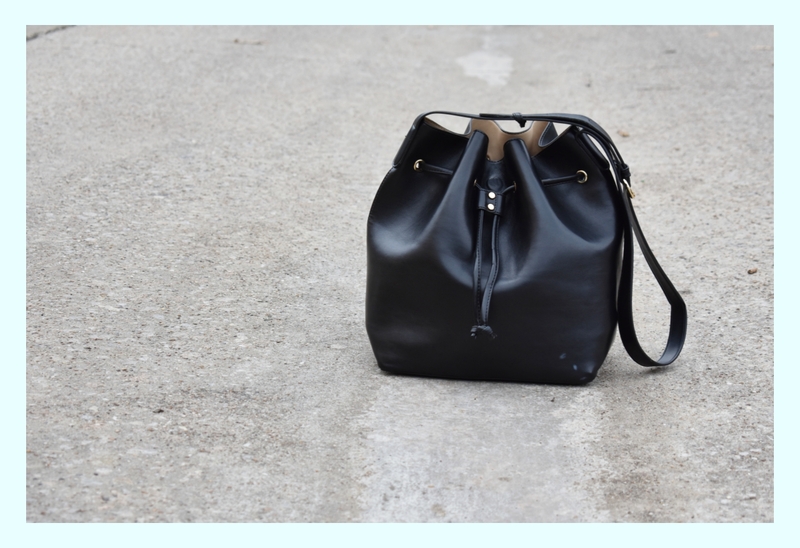 The bag is made of faux leather, features gold tone hardware, two top handles, and a detachable shoulder strap. 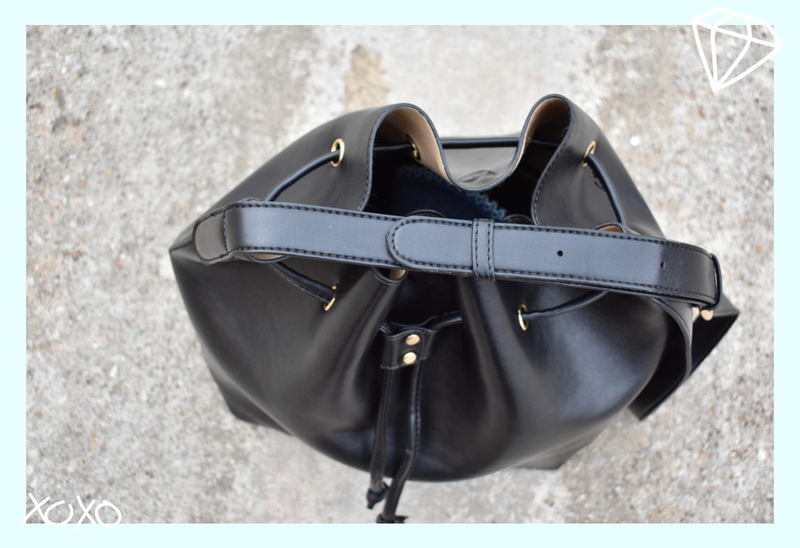 The bag also has a tab and metal fastener closure, four stud feet at the base, two unlined outer compartments, and a lined middle compartment with top zip closure. I really love how spacious the bag is, I've been using it as a work bag ever since I got it. I added the furry puff bag charm, that I got from Target, to the side of the bag I think it makes the bag a little more playful. Card cases have become my favorite SLG, my card cases have made me completely stop using my bigger traditional wallet altogether. 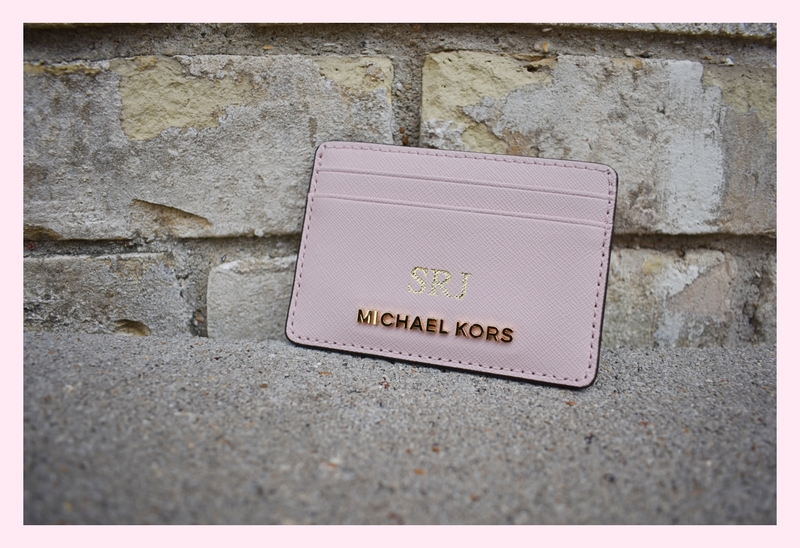 I also have this same MK card case is black, I was able to catch a sale on MK online and get the card case is this beautiful light pink color for 30% off. 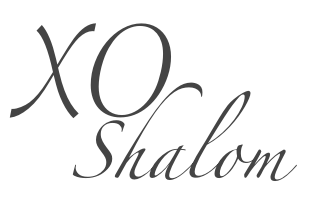 Michael Kors now offers monograming, so I had my initials SRJ hot-stamped on the card case. I have featured this card case as a favorite thing on my December 2016 and my 2016 year is review favorites. The card case is made of saffiano leather, it has four card slots, one interior bill compartment, and features the Michael Kors logo in gold tone lettering on the front. If you are looking start using a card case, buying this affordable and great quality card case should do the trick into starting your card case SLG collection. 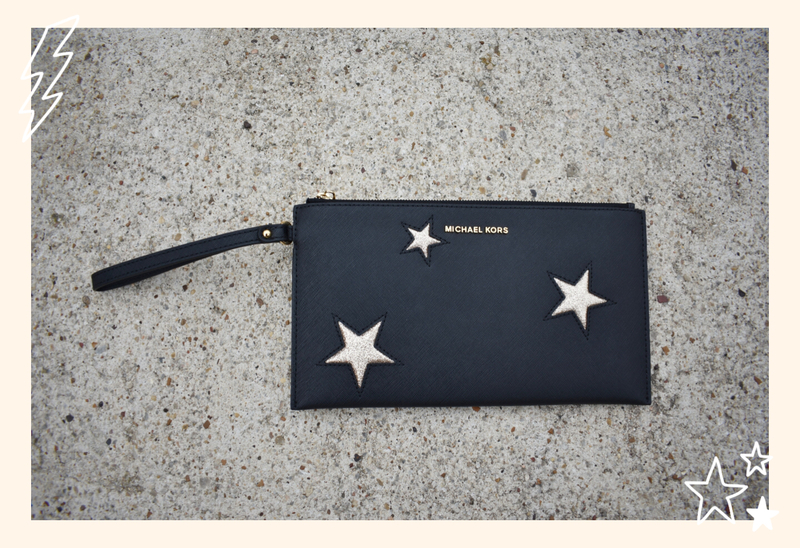 I bought this MK Zip clutch during the after Christmas sales last year. I was looking for a pouch type accessory to put receipts and other random bits in. 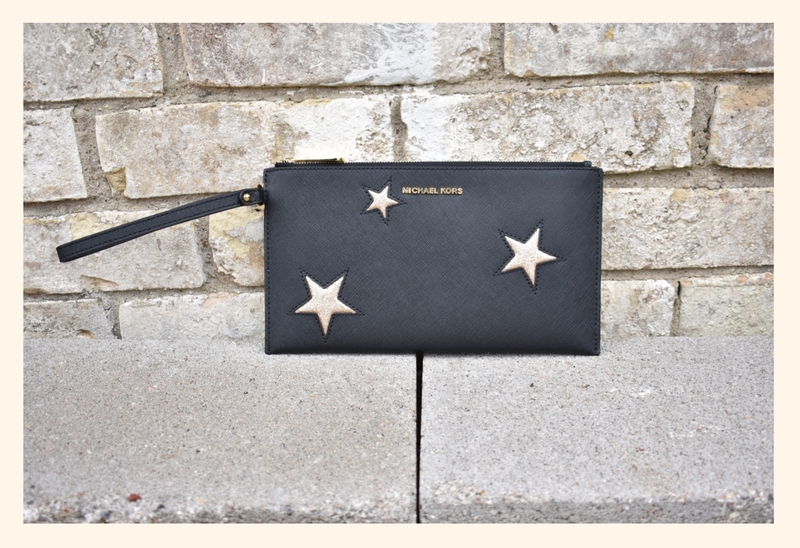 The MK Peek A Boo is made of saffiano leather, the exterior of the Peek A Boo clutch has three stitched glitter stars on the front, gold tone hardware, a wristlet strap that cant be removed, and zip closure. 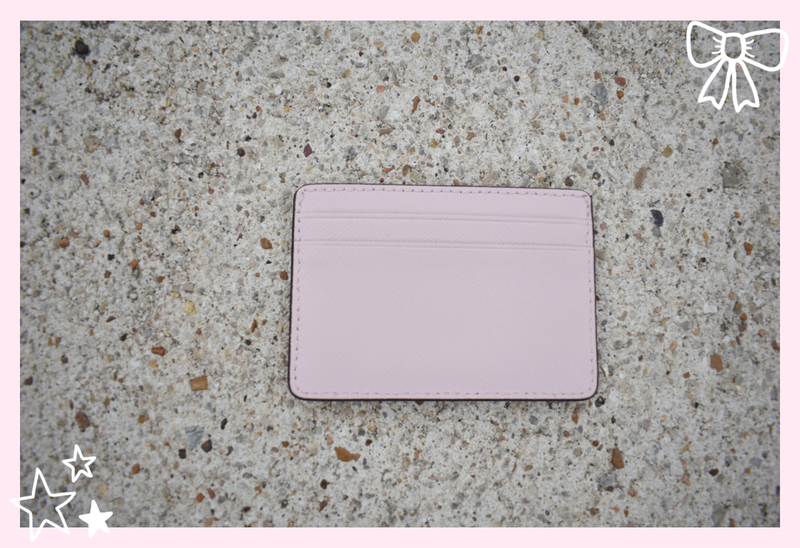 The interior is lined in polyester and features one slip pocket and six card slots. At first I thought I was not going to like the stars on the front of the clutch, but over time they have slowly grown on me. I wish the wristlet strap was removable, it can get a little annoying having to tuck the strap to the side every time I pull it out or put it into by bag. 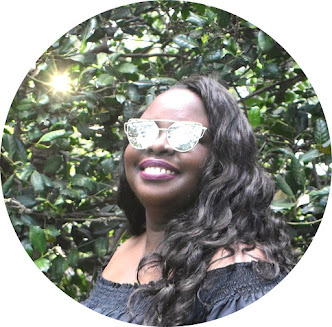 I featured the Sole Society Nevin on my January 2017 favorites and I'm still loving it. I'm usually not on team faux leather, but the Nevin gave me an opportunity to try out the bucket bag style without spending a lot of money. 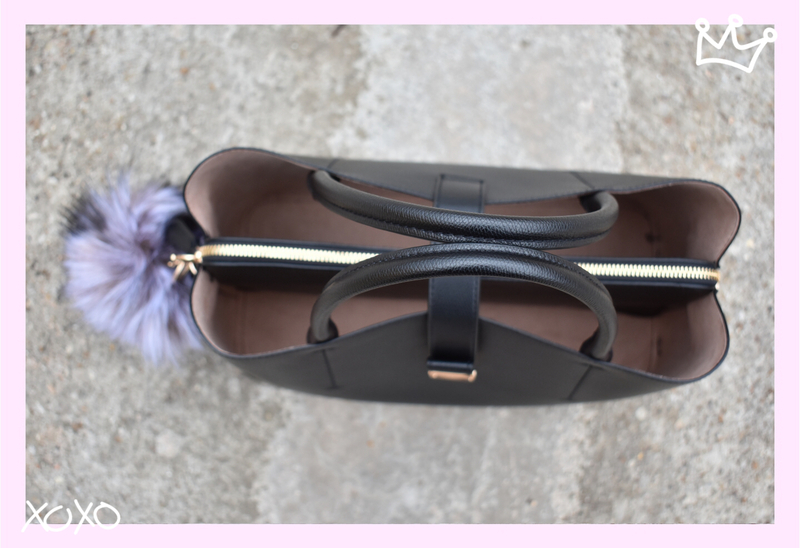 The Nevin is made of a super soft faux leather material, it has a magnetic snap with draw string closure, an adjustable shoulder strap, and four metal feet. The interior of the bag has no slip pockets but the bag does come with removable matching zip pouch. The bag can carry a lot, unfortunately the lack of pockets on the interior make it a bottom less pit when trying to find items like your keys or phone. I've already scuffed the bottom right corner of the bag 😕, but overall I really like the style of the bag and plan on buying a leather version of the bag soon.